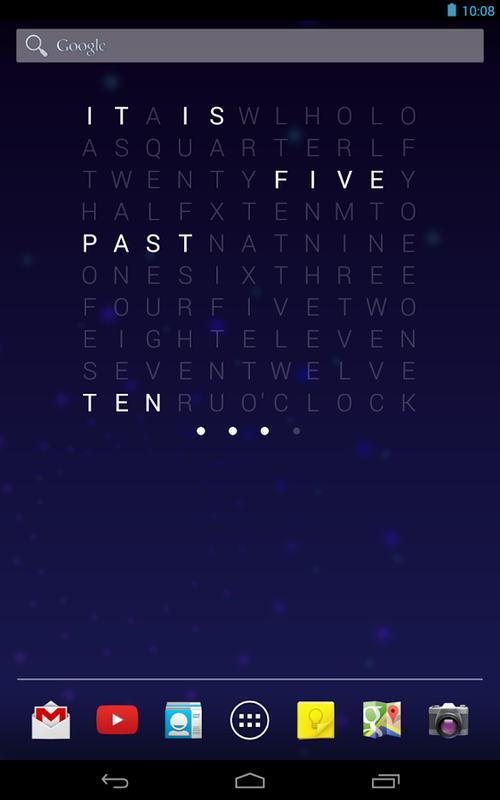 Holo Text Clock displays a grid of letters, of which some are illuminated! 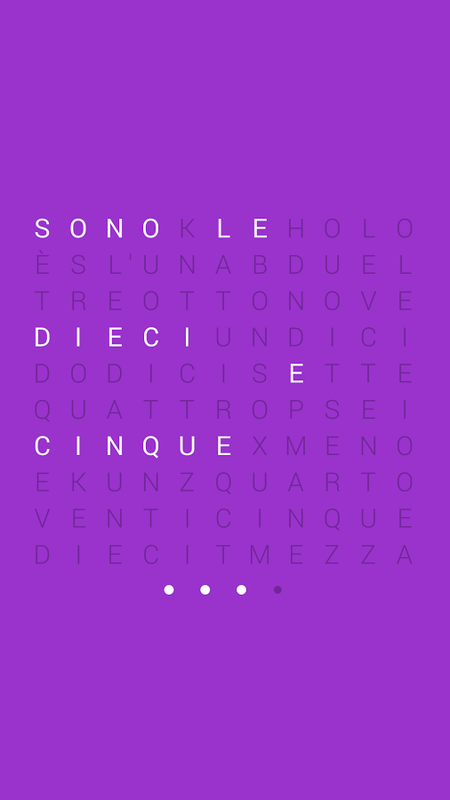 Read out, they form a sentence describing the current time in five minute intervals, for example It is five past ten. Four lights at the bottom indicate the minutes to be added to get the exact time. 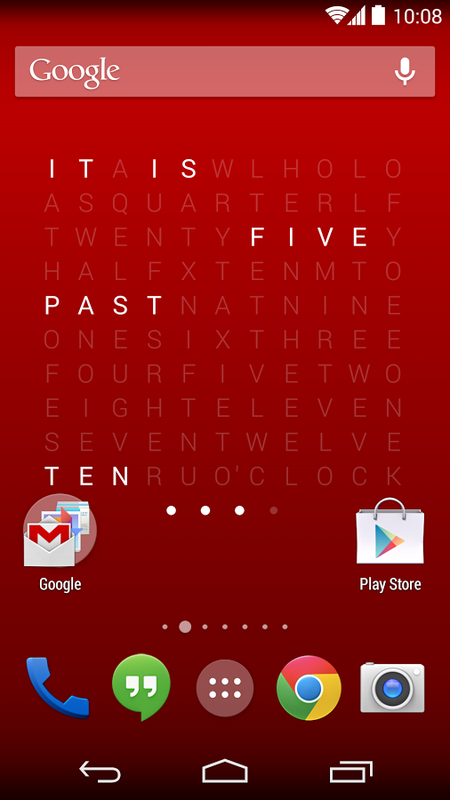 Place the resizable Holo Text Clock widget on your homescreen (or lockscreen for Android 4.2.2 and up) to always have a look at the current time. You can define what happens when you tap the widget, so you can, for example, still directly launch the system alarm clock app. 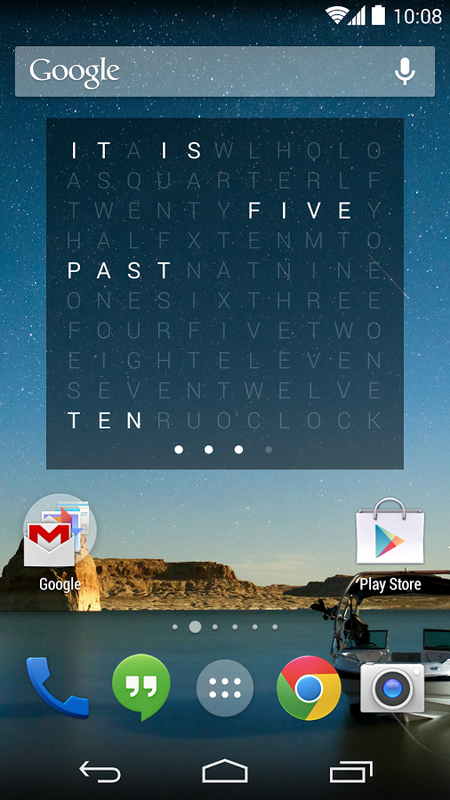 Use the Holo Text Clock live wallpaper as your home screen background. This way, the beautiful clock display and colors will never get out of sight when you are on your home screen or lock screen. 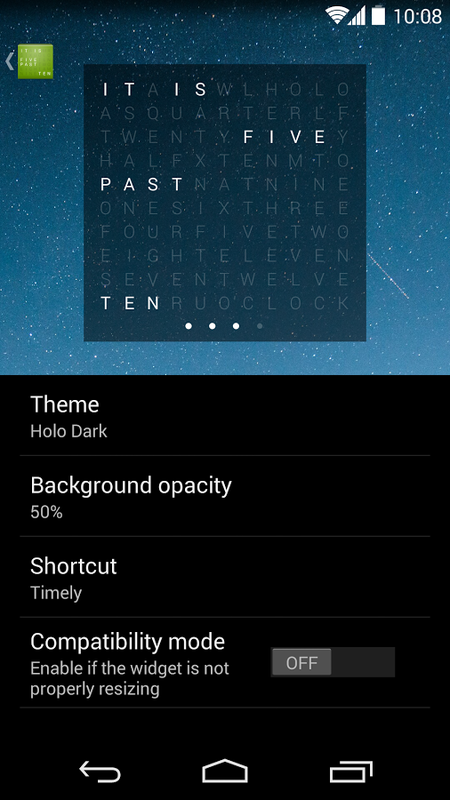 Use Holo Text Clock as your screen saver to have a beautiful animating clock display instead of a black screen. When your phone is charging or docked, Daydream prevents it from turning the display off after the display timeout and displays a Holo Text Clock screen. Daydream is only available for Android 4.2 and up. 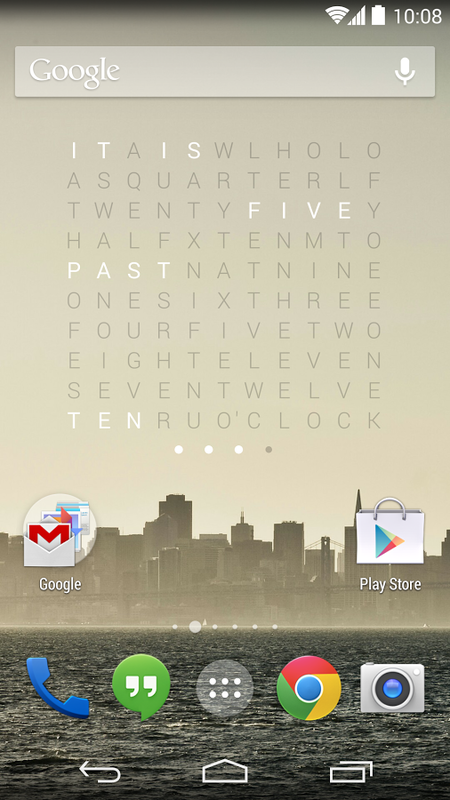 As a convenient way to keep an eye on the current time and as a Daydream alternative for Android < 4.2 users, the app can also be started from the launcher. 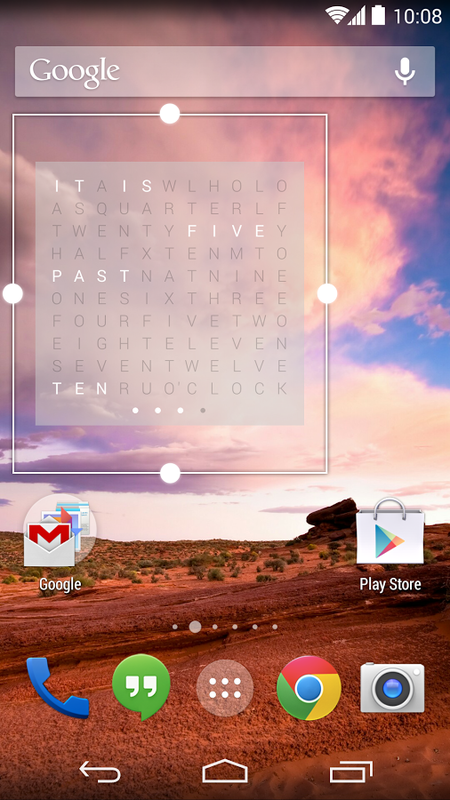 The app can be viewed in full screen to entirely focus the clock display. The clock is available in six languages: English, German, French, Spanish, Italian and Dutch. 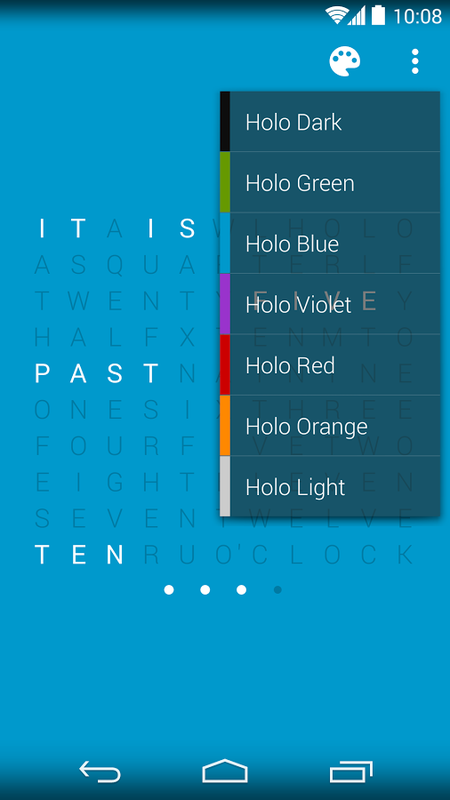 The app comes with seven beautiful color themes installed: Holo Dark, Holo Light, Holo Blue, Holo Violet, Holo Green, Holo Orange and Holo Red.